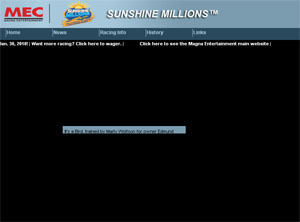 Remember when the Sunshine Millions was such a big deal that the series was shown on ESPN, and Magna could produce a working website for it? No? It was only a few short years ago, but in case you missed it, it was a fun idea: horses in California and Florida take turns racing for state pride – and for some not insignificant purses. Given the lack of coverage, you may be surprised to know this event still takes place – yea, that it will be held this Saturday. Gulfstream is the host for the Florida races, which include the Sunshine Millions Sprint, Distaff and Turf. Alternating post times at Santa Anita are the Filly & Mare Sprint, Filly & Mare Turf and the Classic. Some years feature more prominent names than others, but there are at least a few horses worth watching in each race. First, we’ll examine the Florida races, where the biggest name is running in the first Sunshine Millions race on the card, the Sprint. This Ones for Phil did well here last year in the 3-year-old restricted Sunshine Millions Dash – a race we’ve apparently discarded this year. He’s returning from a long layoff and will be taking on the well-traveled but unlucky Machismo as well as mid-Atlantic shipper Pashito the Che. While in real life, the action would switch to California and back, we’ll stick with Florida for the time being and look at the Distaff. Sweet Repent is the lone 4-year-old in a field of older mares, and while 6-year-old Jessica Is Back has lost to Sweet Repent before, she is indeed back in winning form of late, and now has Julien Leparoux aboard – those two should be able to continue their rivalry, if nothing else. And so to the Sunshine Millions Turf; hard-knocking Soldier’s Dancer headlines here. Jet Propulsion is also in with a chance, and those who seek out the veteran in the field may want to keep an eye on Ballonenostrikes, a 10-year-old gelding who gets the services of Jeremy Rose, who just broke the 2000-win mark. The California races could at least have been marketed to fans of ‘Jockeys’ – Chantal Sutherland, Joe Talamo, Garrett Gomez, Mike Smith and Alex Solis each have Sunshine Millions mounts – but that would be a level of marketing outreach generally beyond the sport. That perpetual gripe aside, let’s take a look at what’s on tap at Santa Anita. 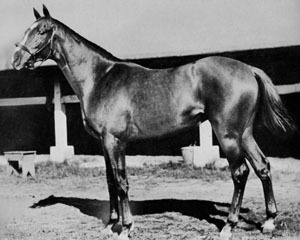 First, the Filly & Mare Sprint; this race garnered thirteen entries, including last year’s one-two finishers, High Resolve and Dubai Majesty. But Quisisana, already proven over the Santa Anita surface, may have a bit of an edge. For the Filly & Mare Turf, Pretty Unusual is back with Chantal Sutherland, her jockey for her upset win two weeks ago in the El Encino. However, she has been less effective on turf, so it may be a lot to ask, given the quick turnaround. Former claimer Bootleg Annie is looking for another win here as well. Finally, the Classic; while it’s a long way from the Breeders’ Cup Classic, it’s got some decent runners. For those looking to continue to bet on horses with some variation of ‘usual’ in their names, Unusual Suspect returns from a layoff, and The Usual Q.T. will likely be a favorite; Unusual Smoke is entered as well. While synthetic specialist Palladio could be a factor, it would be quite entertaining to see a ‘Usual’ trifecta. But perhaps the finest racing in California is reserved for Sunday; the Santa Monica is absolutely loaded. Evita Argentina, Diamondrella, Gabby’s Golden Gal and Proviso are just a few quality fillies and mares in the race – and I like Captain’s Lover getting a weight break. It almost makes one wonder why we bother with the boys. And finally, a note to Magna: a website that only works in IE for Windows (especially one that has no particularly unusual interactive features) is not a working website – it is a website made of fail. Keeping the main photo that of a horse who was retired on Wednesday just adds to the depth (weight?) of said fail. Really, this is not hard. For something made entirely of win, check out Foaltrack.com. Good stuff. Racing, take note. 1 comment to The Sunshine Millions: Were You Aware? Caton Bredar, our new marketing person at the Gulf did nothing, as far as I could tell, to facilitate interest in the Millions. I’ve missed the last 3 or 4 for being out of town, but Saturday was not the Millions of old — when the Gulf was a real racetrack. Admittedly, the track was packed with people, especially on the apron, thankfully leaving the paddock area more bearable for those of us who are regulars. Eavesdropping on conversations as I strolled around led me to believe that masses of patrons were not horse people — they’re race related conversations were too stupid. OK, so, at least they came. It was always a competitive day — east versus west — but I heard no hype about this throughout the day. The post time should have been moved up. The track cleared out with 2 Millions races left at Santa Anita, and we sat in the dark watching them on the pathetic paddock screens.